Developing a cutting-edge mobile app has become an essential need for every existing and potential business in order to be on the toes. To be precise, developing a mobile app helps a business entrance the minds of its targeted audience and turn around the business sales. Believe it or not, no other marketing strategies work so many wonders than a seamlessly developed mobile app by professionals. There is a range of benefits of hiring an outsourcing Mobile Application Development company or a mobile app developer as per the needs of your app development. Turning up a well-thought-of and a premier mobile app development company is not an out of the ordinary thing but a very simple job if you just underline a few major aspects before moving forward. So when you are looking to hire a professional team of a mobile app development team, make sure that you underline the aspects of App Development clearly. This will help you very much in discussing your needs with the development team confidently. Once you take a note of your ideas or intention accurately, it will be a great facility for you to interpret your app idea with the developer without any confusion. In the following section, we are giving the mention of the step-by-step information while looking to hire a mobile app development company or a developer for your outsourcing needs. App Purpose – Ensure first whether you are getting an app developed for your business purpose, or for fun or other purposes. It is well worth to create a detailed analysis and a study of your initiative. Also, be sure to make a note of the potential outcomes you are assuming or expect from an app. Targeted Audiences – It is a levelheaded idea to look on your targeted audiences before you start getting your app developed. In this regard, you can get in touch with the professional mobile app consultants about the cutting-edge trends of an app and how best they can put your app into implementation. This is the most salient thing to consider to make your app a thorough success if you are going to get developed your app that is not only projected for your business operations. App Budget – This is also a key point to take in while choosing a premier Mobile App Development Company for your app development’s needs. Resolving your budget from the first phase facilitates things for a variety of things and helps you to resolve right decisions, particularly when hiring a professional mobile developer or a mobile app development company. Mobile Platform – You should ensure to your entire satisfaction when it comes to selecting the platform, whether you are looking either for an iOS app or Android app. Designing a native or a cross-platform app also creates a huge difference in the overall cost of development. 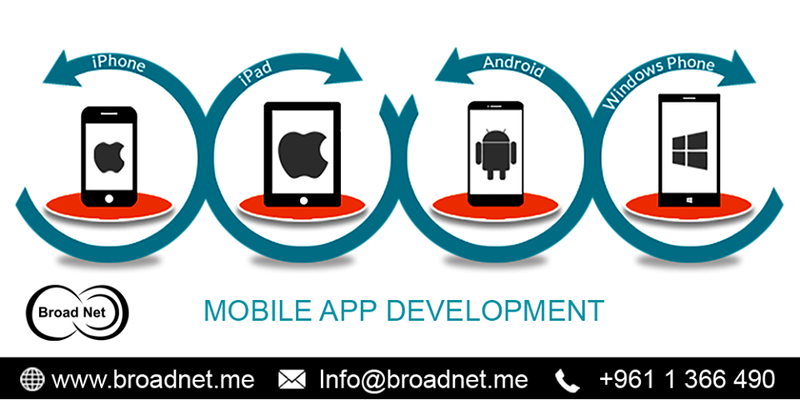 These days, a plenty of mobile app development companies such as BroadNet Technologies is offering dependable outsourcing services to hire a mobile app developer from their experienced team of developers. They give comprehensive assurance of fruitfully carrying out your project in a profitable manner. With that said, choosing a reliable mobile app development company by understanding a few basic aspects gives you astounding service via the skills of their competent app developers and the state-of-the-art technology to offer you maximum returns on your investment.